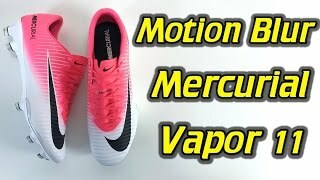 Are you looking for a pair of the Nike Mercurial Vapor Football Boots, well we have you covered? The following post has everything you need to know before buying a pair. 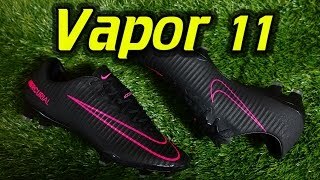 If you’re not familiar with the Nike Mercurial Vapor Football boots, the history of the footwear can be traced to 1996 when Nike signed a ten-year deal with one of the highest ranked football teams; the Brazilian national team. 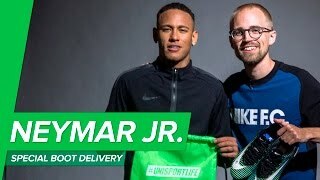 This was an indication of Nike’s commitment to investing in the most watched sports on the planet. The next step for Nike was to produce a boot that could compete with some of the best in the market like the Adidas Predator which launched in 1994. Nike recruited the best Brazilian striker at the time, Ronaldo, who had skills, power, speed, and a keen eye for the goal. Ronaldo wore mercurial boots that blended with his explosive style on the pitch. 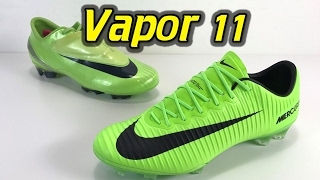 Some of the features included in the pioneering mercurial boots included a Nike Tempo upper that was fused to a disassembled track spike. This led to significant reduction in the weights of the boots compared to those manufactured by competitors. 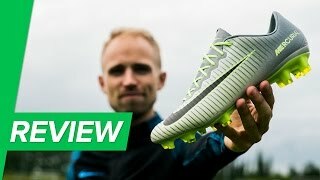 The second major innovation in the pioneering mercurial boots was reducing the thickness of the plate from 3mm, which was the standard in the industry at the time to 1.75 mm that was a game-changer. The first Mercurial boot launched in 1998, and this changed the performance and feel of football boots forever. The first generation of the Nike Mercurial Vapor football boots landed in mid-2002, before the world cup held in the same year. The boots were brought to the limelight with a cage advert that featured football stars Roberto Carlos, Thierry Henry and Eric Cantona. The Mercurial Vapor boots got their inspiration from high-performance cars. The original idea was to enable players to sprint at a faster speed for 90-minutes while having a firm grip of the pitch. In the development stages, Nike scrutinized every element of the boot from the stitching thread to glue, to do away with any excessive weight. In addition, the manufacturer considered the comfort of the players while moving at a high speed. This led to including anatomical features based on the natural shape of the foot, which reduced pressure. The innovative features included in the boot are enhanced comfort, reduced weight and increased speed. The evolution of the Nike Mercurial Vapor boots did not stop with their. Special boots were developed for female athletes, due to the high demand for faster boots in female games. For example, Mia Hamm and Brandi Chastain, the American female footballers who led their team to victory in 2003, and won gold in 2004 wore Mercury Vapor boots. Their success led Nike to roll-out Women’s Mercury Vapor boots in 2003. 1. Locked-Down Fit: A tongue-less, ultra-thin microfiber that is designed to fit your foot’s shape. 2. Enhanced Touch: This refers to a micro-textured synthetic fiber on the sides of the boots, which gives a more barefoot-like experience. 3. Traction for Speed: The mercurial traction system is an engineered plate with 3-D countering fitted with accurately placed studs that enable you to stop and start at a much faster pace. 4. Nike Grip System: This feature is a fully integrated system in the boot that secures your foot. 5. Tongue-less Construction: The tongue of the boot is fused with the upper part, and exists in one piece to lower distractions. 6. Speed Plate: The boot is fitted with an ultra-light 3-D Nike plate that comes with Mercurial traction to allow explosive speeds. 7. ACC Technology: This technology enables control in all weather conditions. The material fitted in the upper part of the boot enable consistent control of the ball in both wet and dry weather conditions. 8. 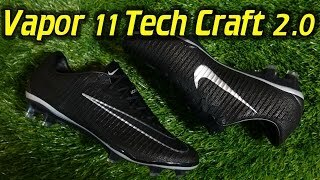 Nike Skin Technology: Unlike the traditional boots that include a multi-layer construction, the mercurial vapor boots uses mesh-backed synthetic that reduces the material between your foot and the ball, making you have a better grip and feel. 9. Anatomical Plate: This plate runs in the opposite direction with the under-foot mold to give you an enhanced traction and natural fit. 10. Texon Heat Shield. This insole technology cools your feet. This entry was posted in Nike Mercurial Football Boots. Bookmark the permalink.